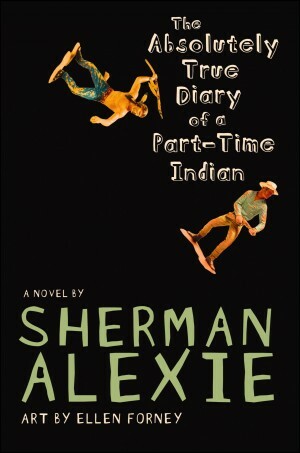 We have nearly lost count of how many times Sherman Alexie’s The Absolutely True Diary of a Part-Time Indian has been challenged in schools across the United States, but it’s happening again in Brunswick County, North Carolina. Frankie Wood, a 73-year-old great-grandmother who has no children in Brunswick County schools, has circulated a petition in several local churches to ban the book from classrooms and school libraries. I’m Christian, OK? This is disgusting to me. It’s very undesirable for our children to be reading, much less being taught, this kind of thing in a classroom. We don’t use these words in Christian homes. I object to these words. I object to the masturbation. As the Star-News points out, this challenge comes almost exactly five months after the Brunswick County school board voted to retain Alice Walker’s The Color Purple in 11th and 12th grade AP classes. County Commissioner Pat Sykes waged a month-long campaign against the book, citing “the immorality, the filth, the F word, and N word.” In that case the school board initially voted to remove the book from classrooms, but immediately reversed course when the district’s lawyer advised them that they had effectively banned it. They later reviewed the materials selection policy but apparently made no changes.